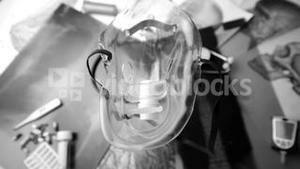 Search Results for "mask black and white"
Young woman wearing a medical mask. Black and white. Girl Bw Mask Enigma. Black-and-white retro shot: a mysterious girl hides a half of her face behind a plain white mask. Close-up shot. Outdoors. Abstract black and white background of ink or smoke flows is kaleidoscope or Rorschach inkblot test in slow motion. Black Ink inject in water. For alpha channel use luma matte as alpha mask. 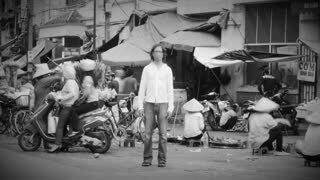 Time lapse of a solitary man wearing a breathing mask to filter out pollution and toxic air stands still as the world around him flies by at a busy market where people are over consuming in black and white.